Did you have an incredible weekend? I hope you did. My weekend began on Thursday at the Rise Kombucha launch party, stretched into Friday with a Kevin and Leanne movie and popcorn night, Saturday afternoon was highlighted with the hustle and bustle of the Montreal health expo, and Saturday evening resulted in a massive feast with friends and endless Indian food. Come Sunday, I was ready for a quiet day of baking and napping. All that celebration is enough to wear a girl right out! So I made us cookies. Well, they’re sort of cookies. They’re cookies in a cup with dairy-free cream inside. Like tarts, only way easier. Tarts are a lot of work but this recipe… isn’t. This recipe also uses ingredients many of us have in our pantry so we can all delay grocery shopping just one more day. 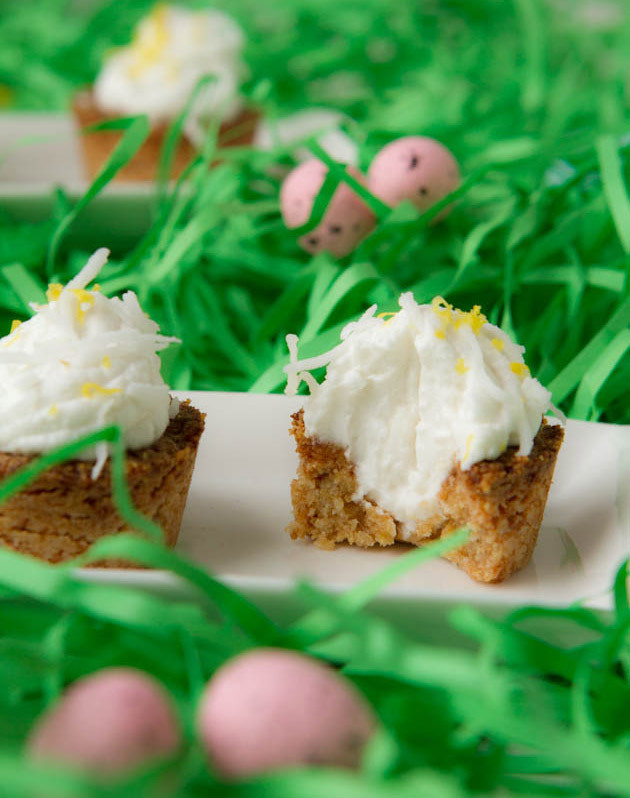 And of course this dessert is grain-free and vegan so just about everyone can enjoy them. 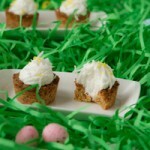 Just wait until you see the grain-free, vegan desserts in my cookbook that’s coming out in May! It’ll blow yo’ mind! I’m announcing something extremely exciting tomorrow morning, but only to my email subscribers. I’ve never offered anything like this so I expect that spots will fill up very, very quickly. If you haven’t already subscribed to my weekly or daily emails, do it now so that you don’t miss out! 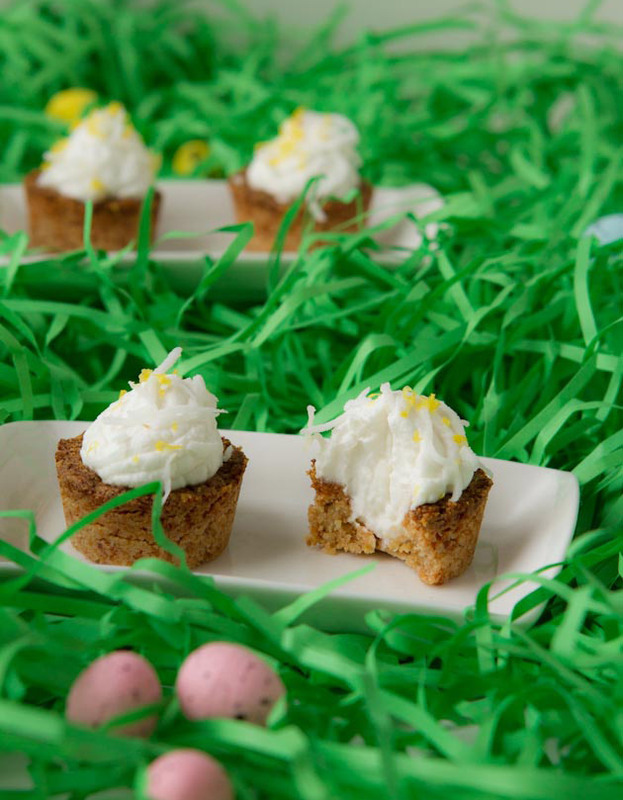 Mini tarts made with grain-free sugar cookie and filled with a coconut cream. Combine dry ingredients in a small bowl. Then add wet. Stir with a spoon until fully incorporated. Press into 24 mini muffin cups and bake in preheated oven for 12-15 minutes or until lightly golden brown. Using the end of a wooden spoon handle, carefully press into center of each baked cookie to make a 1-inch wide indentation. Cool in the pan for 5 minutes, then gently remove the cups from the pan. Place cups on a cooling rack and allow to cool for 1 hour. In a medium chilled bowl, beat coconut milk and vanilla. Beat until frothy, about 2 minutes. 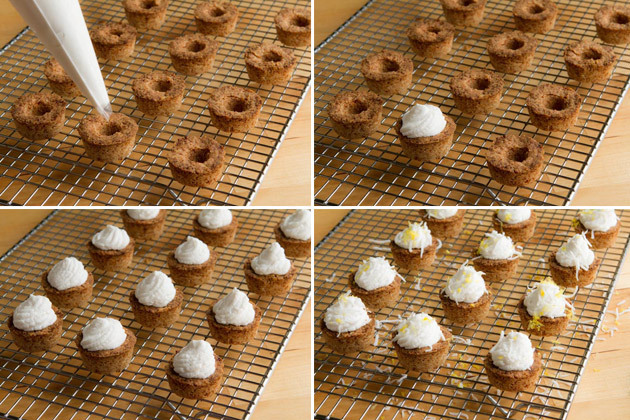 Top each cookie cup with cream, sprinkle with coconut and serve. If you are allergic to nuts, use a sugar cookie recipe that does not contain nuts and add to the pan as instructed. If you do not have coconut sugar, I'm sure other forms of sugar would work but I haven't tried it. These tarts store really well in the fridge. Place in an air-tight container. Can be stored for up to 5 days. The trick to this recipe is making sure that the cookie mixture is firmly pressed into the mini muffin molds. Press that dough like you mean it! Then, when it’s finished baking, make little holes in the tops like in the picture below. The deeper the holes, the more cream that will fit inside. I added the cream to a piping bag, but you could just as easily use a spoon if you’d like. Pipe, repeat, pipe, repeat. 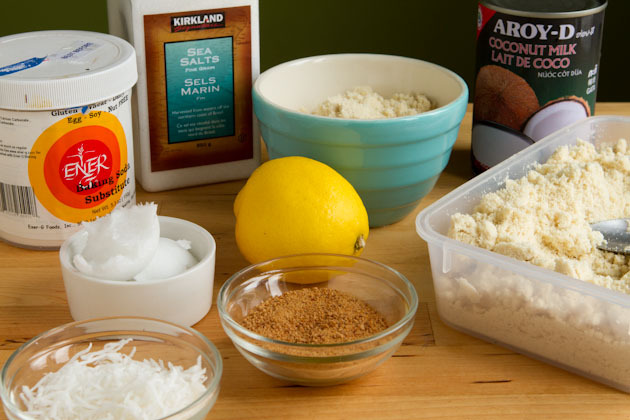 Sprinkle with coconut and maybe some extra lemon zest if you have it handy, and you’re good to go! Note: I used Aroy-D coconut milk for the cream of this recipe. It’s best to chill the can the night before, drain some of the liquid and then use the solid mass from the can to make the cream. You could use any type of cookie base you’d like with these cups. I chose a sugar cookie-type base, but I’m sure anything would work here. 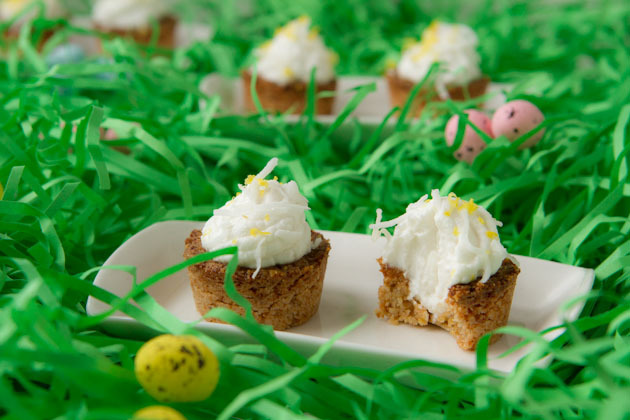 Now it’s your turn… Do you have Easter treats planned for this year? How do you set aside downtime and relaxation on the weekend?